Now Shipping with Free Battery Cap Upgrade - Folding Handle A $20 Value !!! The New mini will bring more wire options, new processor, more accurate control, new UI, and the ability to dial in your own vape curve. 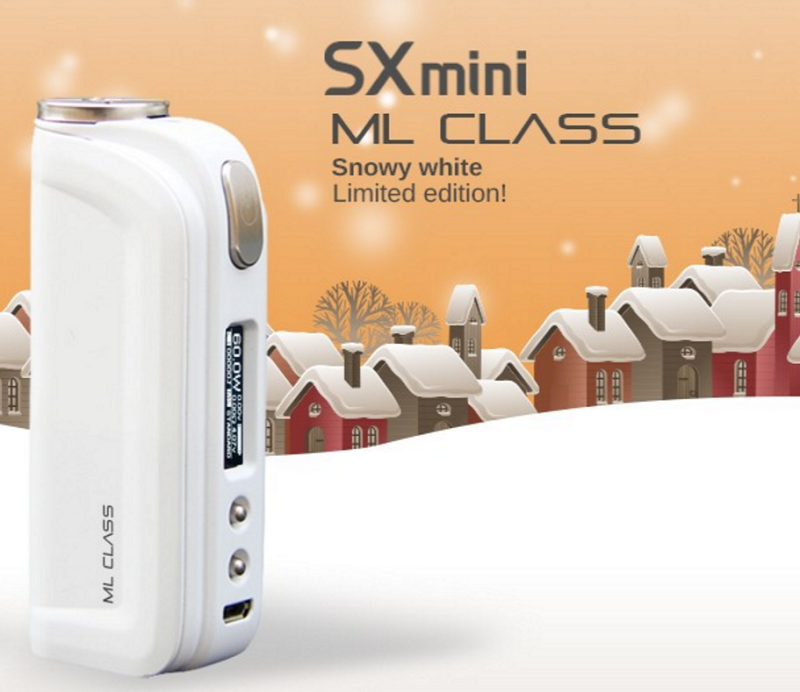 The SXmini ML Class is designed especially for the professional and high end vapers. 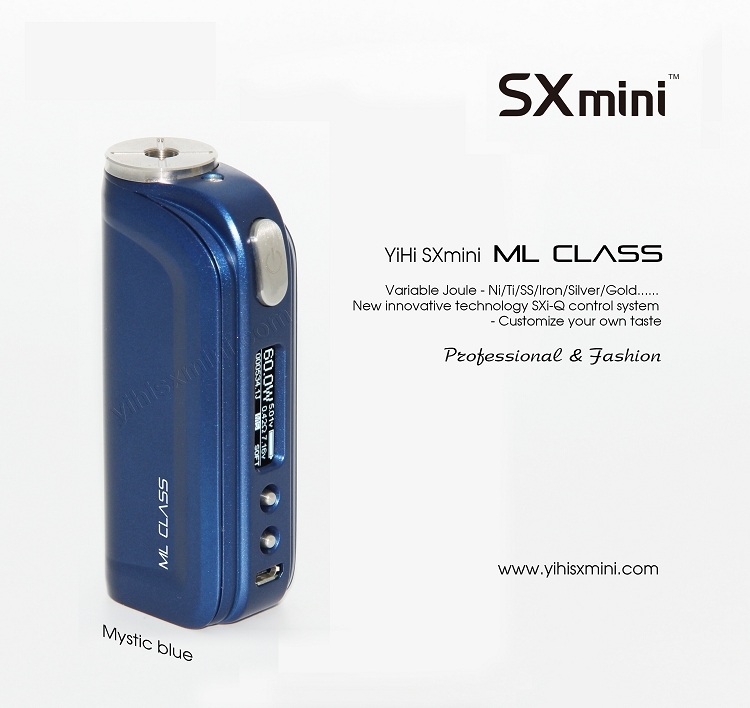 This device is powered by the YiHi SX350J-V2 processor which is one of the most advanced boards in the vaping industry at this moment. Precise TC, upgradable, Graphic user interface operation, sub-ohm capablability, etc. 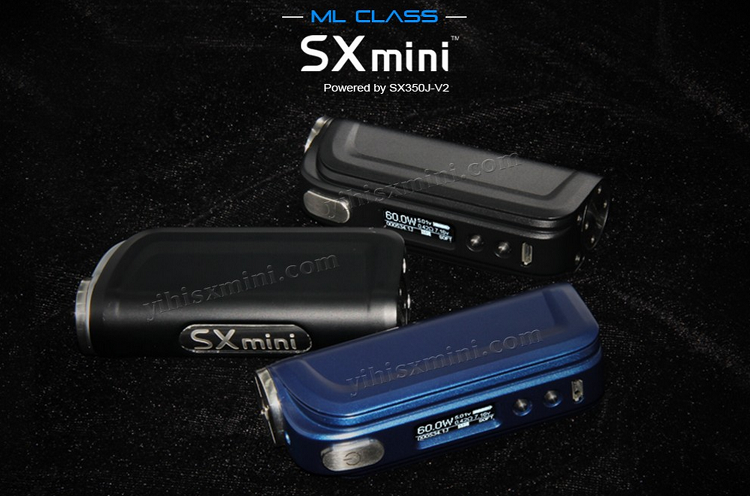 The SXmini ML Class is an extremely potent device with classic design, to provide a balance of power and convenience. 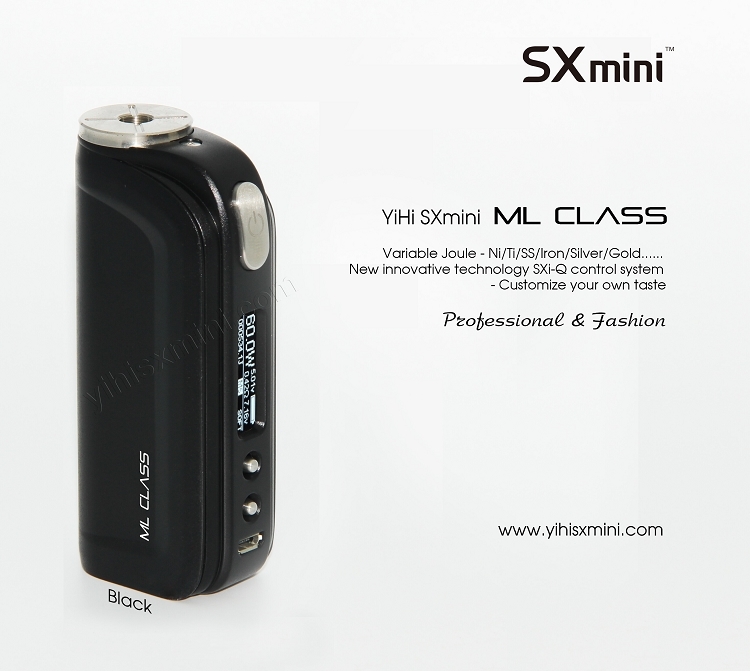 We feel that this combination will provide the best vape experience available in the market. Enjoy! 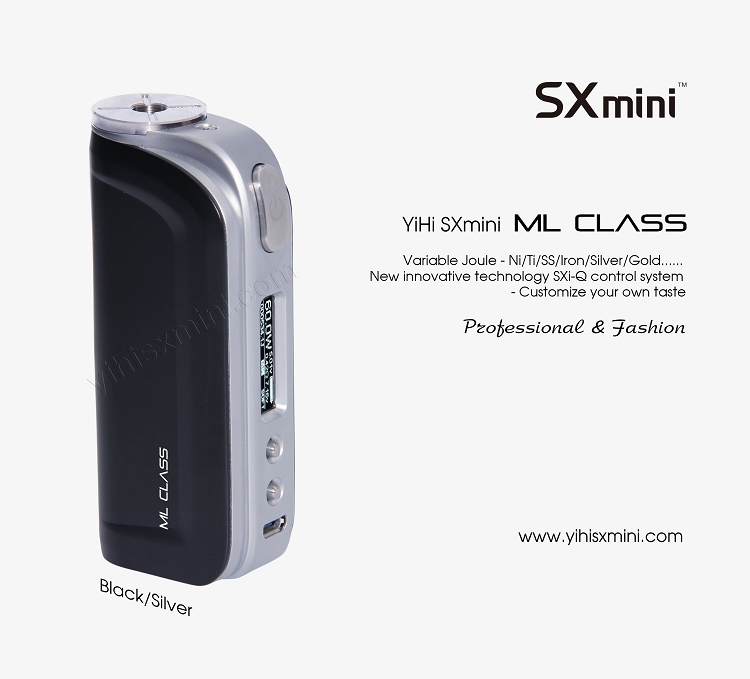 Powered by the YiHi SX350J-V2 processor. New innovative technology: Temperature Coefficient of Resistance, compensate temperature and SXi-Q control system (Customize your own taste). Joule (the unit of energy,watt*time). Single battery 75W regulated, 85W in bypass mode(direct connection mode, allowing your device to become a mechanical mod). Resistance: 0.15 ohm - 3.0 ohm(Power mode). Charges via USB, takes one 18650 battery. Stainless steel & high-quality zinc alloy. 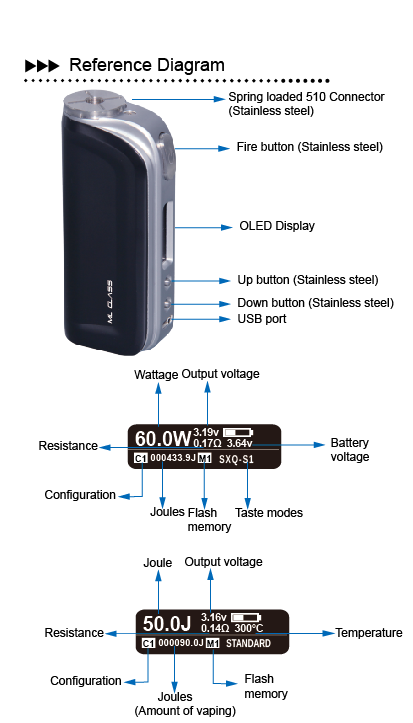 Reverse Polarity, output short, low resistance, low battery voltage, and overheat protection.